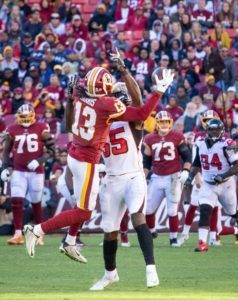 The Atlanta Falcons came to FedEx Field on Sunday and handed the Washington Redskins a solid defeat to the score of 38-14. The Redskins also lost some key starters for the season with injuries. The Redskins drop to 5-3 on the season but still lead the NFC East by a game over the Philadelphia Eagles. Let’s take a look at some moments from Sunday. 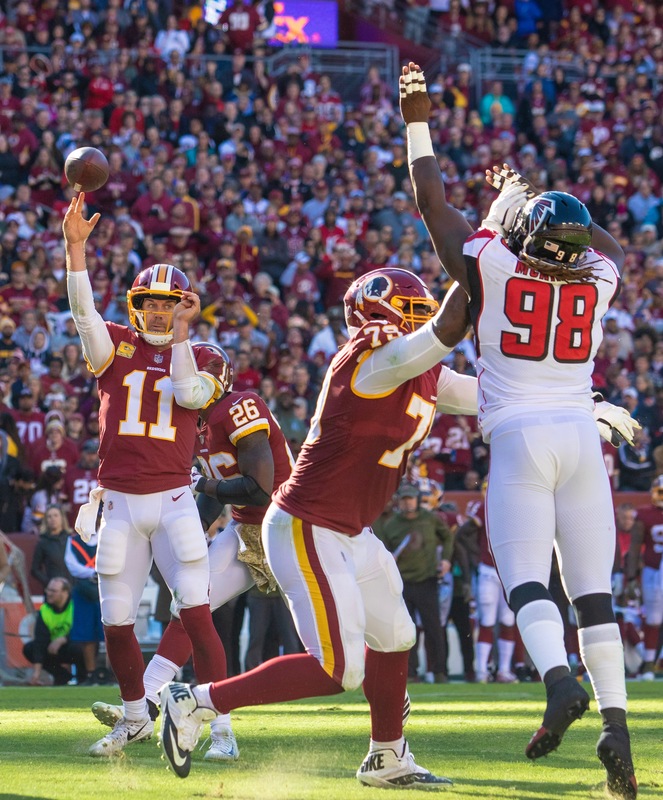 Matt Ioannidis- The third year defensive end has impressed on the season and that trend continued on Sunday. Ioannidis led the team in tackles with 7 and registered a sack as well. 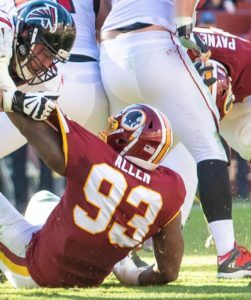 Usually overshadowed by his first round draft pick teammates, Ioannidis has started to get more snaps in the nickel package, giving Da’Ron Payne and Jonathan Allen a break. Tress Way- One day Tress Way will get his due from the NFL. Way gave his defense a chance routinely pinning team inside the 20 and making opposing offenses have to go a long way to score. 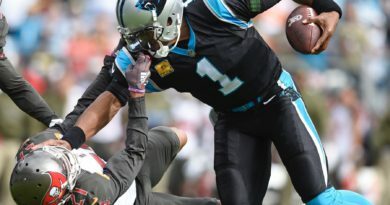 Way continued this on Sunday however the defense wasn’t able to use that advantage. Way definitely deserves a pro bowl invite this season. Maurice Harris- Maurice Harris was finally able to show his worth and that led to a career day. Harris had 10 receptions for 124 yards on 12 targets. Harris has been playing the Z or slot receiver since Jamison Crowder’s injury, but can play all three positions. His versatility will be helpful for this team, and he adds height to the slot receiver position which makes him a good target for Alex Smith. 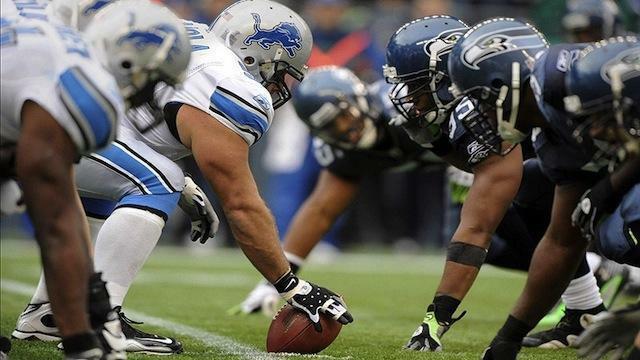 The Defense- Outside of the New Orleans Saints game, the defense had been solid in every game. Sunday was not one of their better days however. 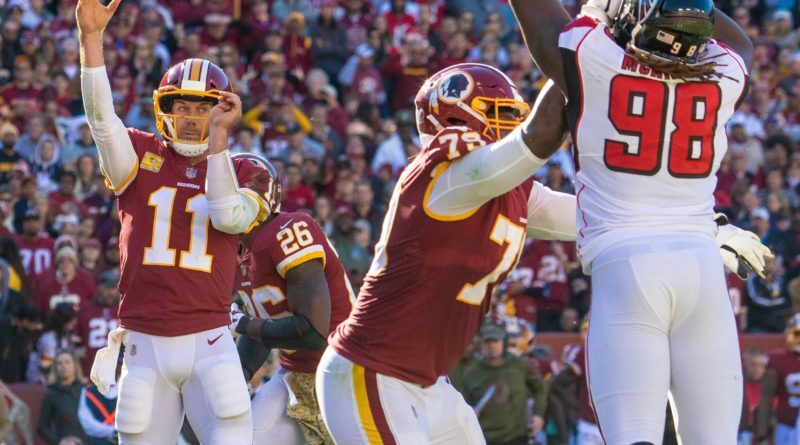 The Falcons dictated the Redskins defense and attacked the predictability of the Redskins. The Falcons would bring in 12 personnel (two tight ends), and motion and pass while lining up in 11 personnel ( three receivers, one tight end, one running back), and run the ball. Also their receivers took a page from the Indianapolis Colts and ran a ton of pick plays to create openings. The Falcons ended up with 491 yards of total offense including 154 yards on the ground, the Redskins highest total given up this season. Injuries- This game could go down as a turning point this season. 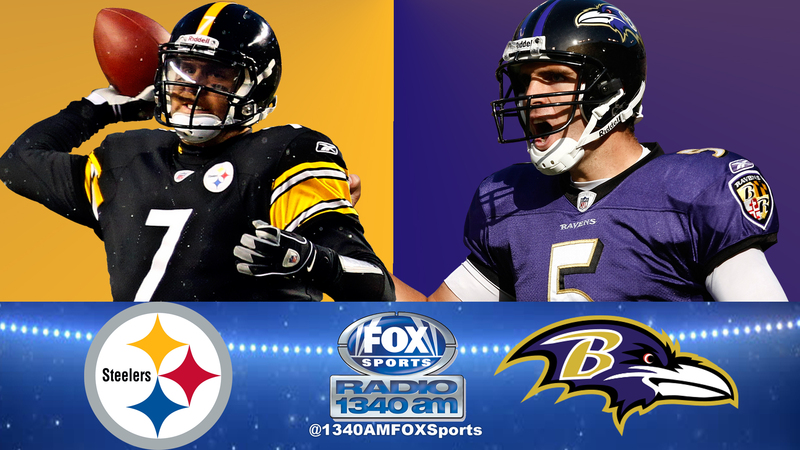 The offensive line was completed battered on Sunday. Trent Williams was already out with a thumb injury before the game then Shawn Luavao tore his ACL on the first drive on the game, followed by Morgan Moses getting his leg rolled up. In the second half Brandon Scherff tore his pectoral muscle on what some think was a dirty play. So the Redskins had to sign three offensive lineman to offset those injuries. Hopefully offensive line injuries do not derail the season. Running Game- The strongest facet of the offense was the running game. The Falcons used their smaller but faster defensive lineman to shoot gaps to stop the running game. To make matters worse, the offensive line shuffle did not help this as well. Lastly, against a smaller faster defense, the Redskins needed to run more power and less outside runs. This led to the Redskins having to throw the ball more than they wanted to. The 2018 Redskins have to run the ball to win games. Alabama Wall- Da’Ron Payne and Jonathan Allen have been great first round picks. They have been worth the picks. However on Sunday the pair was unusually quiet. Allen had three tackles while Payne had just one and neither had a QB hit. The Falcons had the best rushing day against the Redskins while Ryan had plenty of time to throw the ball. The duo have played a lot of snaps and may have a little burn out. Tim Settle and Caleb Brantley did not receive snaps and they should to give Payne and Allen a break. Officiating- The Redskins did not lose because of the officials so let’s get that out of the way. However the officiating did dictate the game to a certain extent. 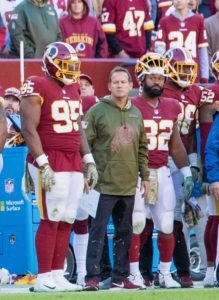 The drive in the second half where the referees called in order: a taunting penalty for spinning the ball after a first down, a questionable hold on a converted first down, then a personal foul for arguing after the Redskins thought it was a cheap shot on Brandon Scherff. That sequence killed the momentum of the offense. A few plays for the Falcons offense could have been called offensive pass interference. Either way the Redskins committed too many penalties to win the game. Third Down Conversions- The most telling stat of the game was the third down conversion of both teams. The Falcons started out 8 for 8 on third downs and finished 10 for 13 for the game. The Redskins were 5 for 13 on third down and never could get consistent drives going because of that. The penalties contribute to that, dropped passes, miscommunication on defense and games like that happen. The Redskins must clean that up if they want to win going forward.